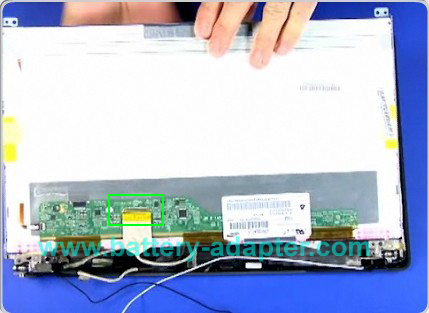 In this guide, the acutal laptop is Lenovo Ideapad Z560. Lenovo Z565 is very similar. First of all, shut down your Lenovo Ideapad Z560. Remove the LCD unit from the computer and disassemble the LCD unit. You can refer to How to Replace Lenovo Ideapd Z560 Z565 LCD hinges. 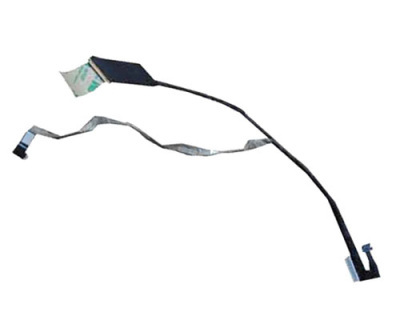 After you remove the screen from the LCD cover, just turn it over and unplug the cable from the board.